As much as it is an interesting concept, the Ricoh GXR system is something of an oddity. Although I appreciate the idea of being able to take out a compact-style camera or a high-quality fixed-lens camera, I feel that Ricoh has created a solution to a problem that in real terms doesn’t actually exist, in much the same way as a Segway solves the problem of walking. A Segway costs thousands of pounds when you could either walk or spend a lot less and get a very good bicycle. The two benefits that it does offer are lenses that are specifically designed for the sensor being used, and that it should be far more difficult for any dust to settle on the sensor. As much as these are definitely positives, I cannot see huge numbers of photographers feeling that these advantages warrant the expense of an entirely new system. They may consider that they would be better off with a high-end compact camera (around £400) and a Panasonic Lumix GF1 and 14-42mm lens (around £650), which would offer more flexibility and cost around £200 less than the GXR body and A12 camera unit. 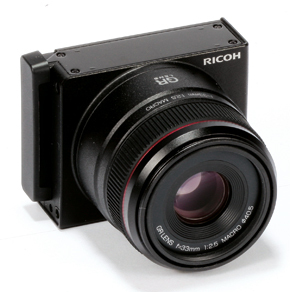 It will be extremely interesting to see how Ricoh develops the GXR system. It is definitely an exciting prospect, especially as both camera units provide excellent image quality in their fields. Once more units are released later this year, we will have a better idea of the true potential of the GXR. Hopefully, a GR-series wideangle lens and a S-series HD video superzoom unit will be released, along with some accessories to link with the GXR body. 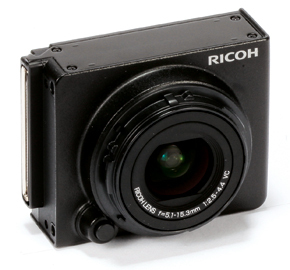 Ricoh may have been better waiting until more of the system had been developed to give photographers more of an idea of exactly what the system is capable of.